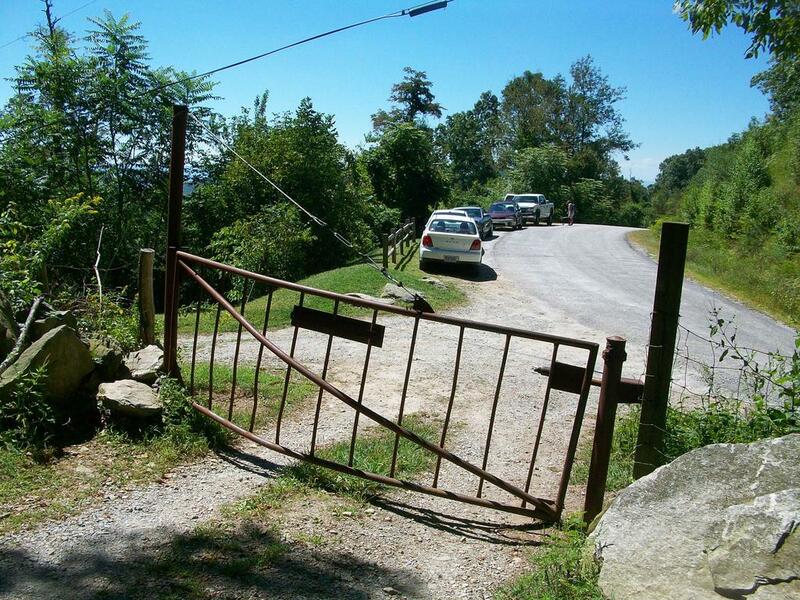 This is the cattle gate at the parking area and gravel road to Bearwallow Mountain. The trail starts to the right of the gate as you come in (to the left in this photo). Go around the gate on the right to begin the hike.